'Professor Duthie has much to say that is wise and judicious'. Times Literary Supplement. 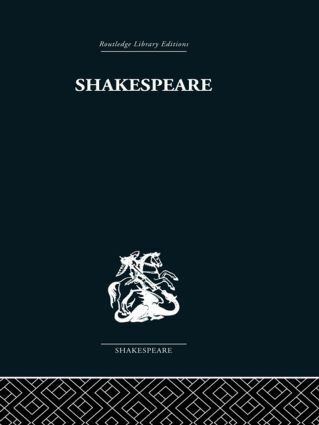 Contents include: Shakespeare's Characters and Truth to Life; Shakespeare and the Order-Disorder Antithesis; Comedy; Imaginative Interpretation and Troilus and Cressida; History; Tragedy; The Last Plays.